This is an important moment in our history. We are watching the beginning of the AI revolution. Very soon, artificial intelligence will touch the lives of millions and millions of people. This is staggering, because now we have the ability to empower people with resources that are virtually limitless. We’ve decided to tear down that model. At Frontdesk AI, our goal is to bring the best of AI to the world. That means everyone—especially small businesses. We’ve spent the past several years designing one of the most advanced artificial intelligence “brains” there is. But here’s the difference—we’ve made it inexpensive and ridiculously simple. We’re talking one-day-to-install simple. The first generation of virtual assistants have come and gone—sometimes with a bang, but usually with a whimper. Companies claimed they had built something that was smart, intuitive and could answer questions intelligently. But what they ended up with were mindless chatbots. Typically, this technology fell short because traditional chatbots could not understand human beings. Whenever people asked a question or responded in a way that was “off script,” chatbots were hopelessly lost (and annoying). That’s where we came in. We spent weeks walking the streets of San Francisco, talking to local businesses to learn about their workflow, what keeps them awake at night and what frustrates their customers. They became our “experts”—and we’ve been talking to them ever since, to ensure that our product is doing what it needs to do and can adapt to business challenges as they materialize. Instead of building a Swiss army knife, we focus on one thing and one thing only—small business. Our AI doesn’t predict the weather, order your groceries or answer trivia. But simple, repetitive business tasks—like booking appointments, answering product questions, and remembering details about each and every customer—that’s where we are exceptional. We are giving people the gift of time. More time to work, play or do whatever matters most. This is our world. Frontdesk AI. Srivatsan is an expert in the field of artificial intelligence, information retrieval and data privacy. His work has spanned multiple domains, including search and ads, bioinformatics, computational biology, computer security and manufacturing. No stranger to startups, Srivatsan built a company called Scibler, an iOS mobile AI assistant that manages and prioritizes appointments directly from email conversations and calendar updates. Before Scibler, Srivatsan spent seven years at Microsoft’s Machine Learning & Optimization group. When he’s not knee-deep in code, he can be found hiking across the Bay Area. 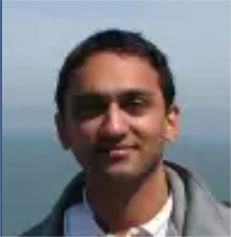 Srivatsan obtained his Ph.D. from the Indian Institute of Science. Supriya has more than 15 years of experience building intelligent systems. Before co-founding Frontdesk AI, she worked on natural language processing-based business intelligence solutions at Strand Life Sciences. 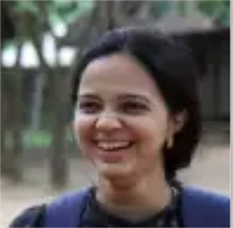 Supriya also designed a surveillance product for Honeywell Technology Solutions that uses computer vision-based video. She co-founded Scibler. Supriya is a problem-solver to the core. Her passion is building intelligent systems, and when she isn’t doing that, she’s traveling the world or reading novels. She holds a M.S. from the Indian Institute of Science. 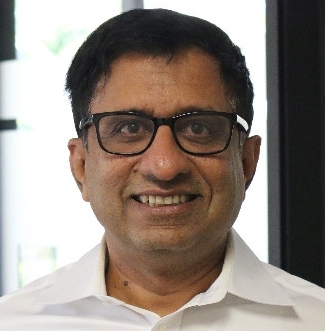 Tapan has spent most of his career identifying and defining opportunities and working with engineering, marketing, and sales teams to bring products to market. At Frontdesk AI, Tapan leads the effort of gathering and synthesizing feedback from several market verticals and translating this into meaningful products and features for local businesses. Building technology-based products is hard; fortunately, Tapan has done this many times before. Prior to Frontdesk AI, he worked at Alphabet Energy, where he led product development and developed go-to-market strategies for industrial power generation products. Before that, Tapan was Director of Growth at Venus Group, where he was responsible for bringing technology and product innovation to the textile industry. Tapan holds a B.S. and an M.S. in Mechanical Engineering from UC Berkeley. 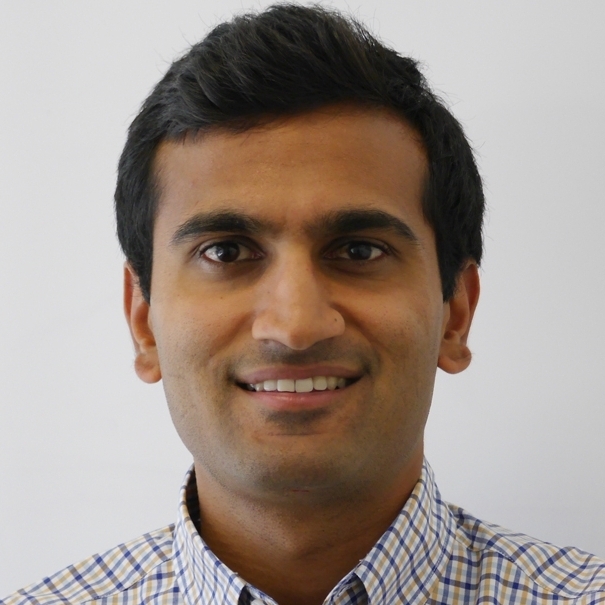 When Tapan isn’t thinking about Frontdesk AI, he enjoys advising and investing in a wide array of technology startups, ranging from ride-share to wireless power transfer. He is also an avid hiker and cyclist. Rajan has been a critical member of the Frontdesk AI team since the company’s inception. He was the first investor and remains deeply involved in the company’s operations and strategy today. Rajan is also the CEO and Co-Founder of The Fabric (www.thefabricnet.com), a startup foundry and accelerator specializing in cloud and IoT/Infrastructure. The Fabric team collaborates extensively with entrepreneurs and takes a unique approach to co-creating, funding and launching companies. Since its inception in 2012, the Fabric has co-created eight companies, of which three have already been acquired: VeloCloud by VMware, Perspica by Cisco, and Appcito by A10 Networks. Rajan also serves as a Board Member to Frontdesk AI, IoTium, Pensa, Rosetta, Spanugo and KMesh.